This is one of two nursing rooms at Tangar Outlet at Natinal Harbor. It's very quiet and private. 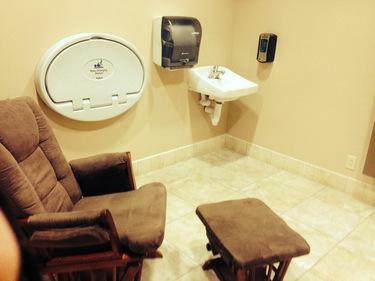 There's a comfortable rocking chair, a stool, a sink, an electrical outlet and a changing table.